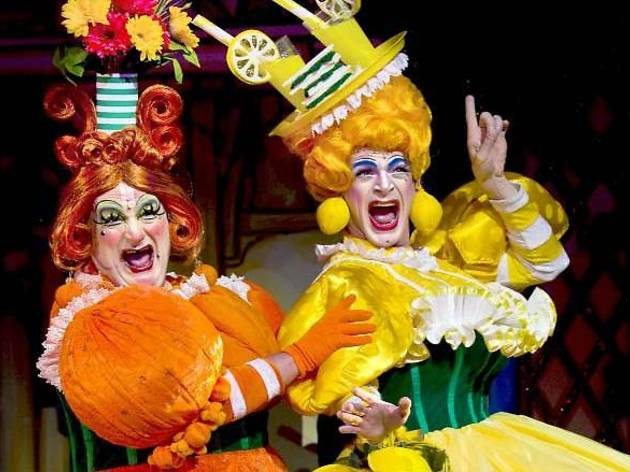 There’s no telling when and where the panto gods will descend. When they do, however, the effect is as dizzying as any office party. They have certainly smiled on Richmond this year and, boy, was I beaming by the end. The suburb’s seasonal fare can be rigidly traditional and blandly well-behaved. Not so this year. Christopher Dunham has thrown everything at the stage, including Shetland ponies and a gag about local celeb Fenton the Dog, and it aligns deliriously. 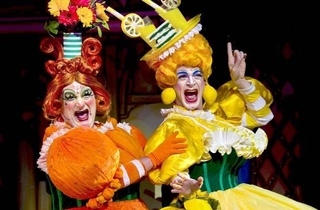 Not least because of its twin motors, Graham Hoadly and Paul Burnham, as the Ugly Sisters, Beatrice and Eugenie, complete with pretzel antlers. One is round as a Christmas pud, the other spindly as any tree: they are a tremendous double act, wickedly funny and caustically callous. This ‘Cinderella’ is Disneyfied, but not deflatingly so. Some big pop numbers help to keep it buoyant. I left with only two grumbles: Jenny Eclair is misused as a fairy godmother, as her dottiness is never given space of its own, and the repeated sneering at poorer London boroughs becomes rather repugnant.